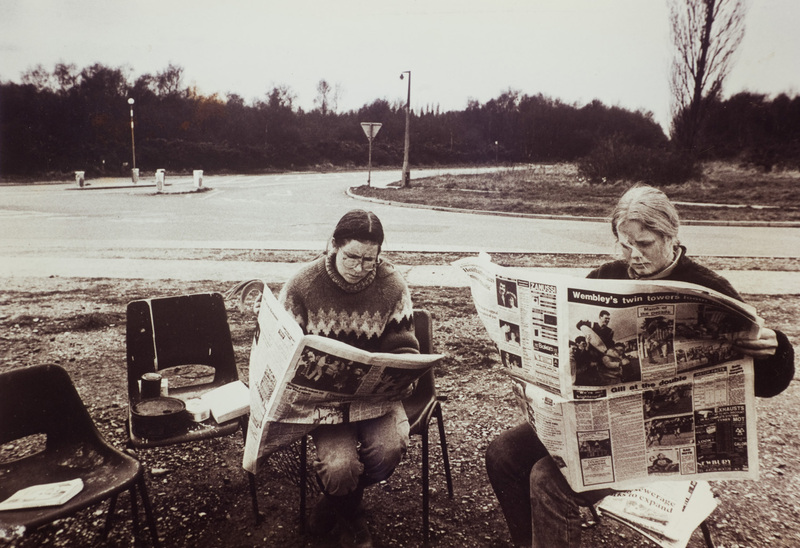 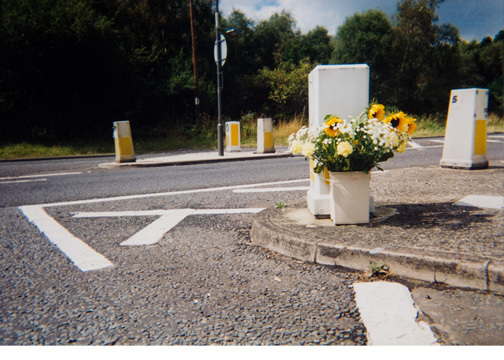 The project OPEN HEARING revisits the creative politics used by the Greenham Common women peace campaigners to force a public debate and the responses of the legal apparatus in front of this unprecedented act of so-called civil disobedience. 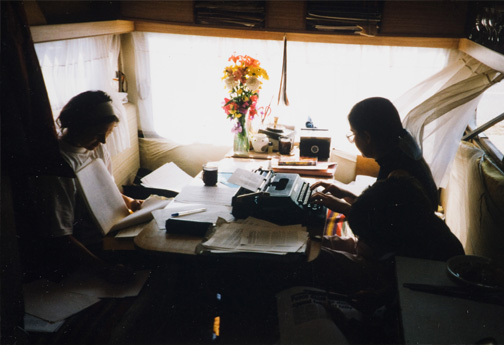 With OPEN HEARING, Lewandowska further exposes how the trials against the peace campaigners became a forum and theatre for exchanges between women as citizens and the authorities. 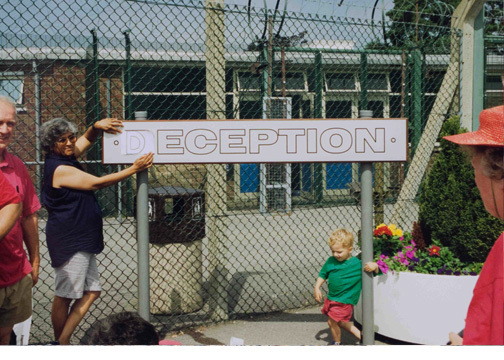 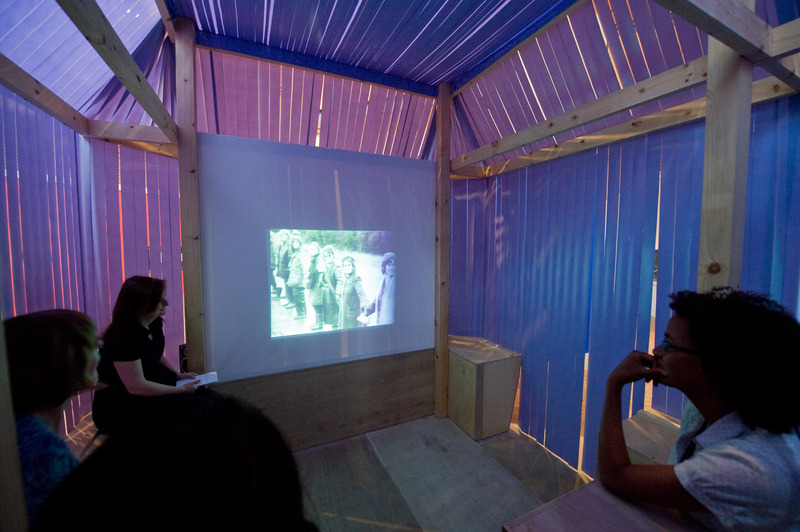 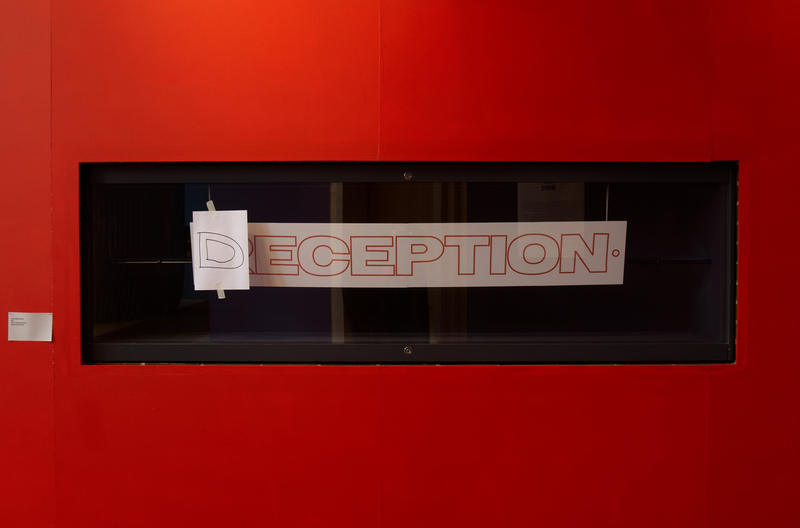 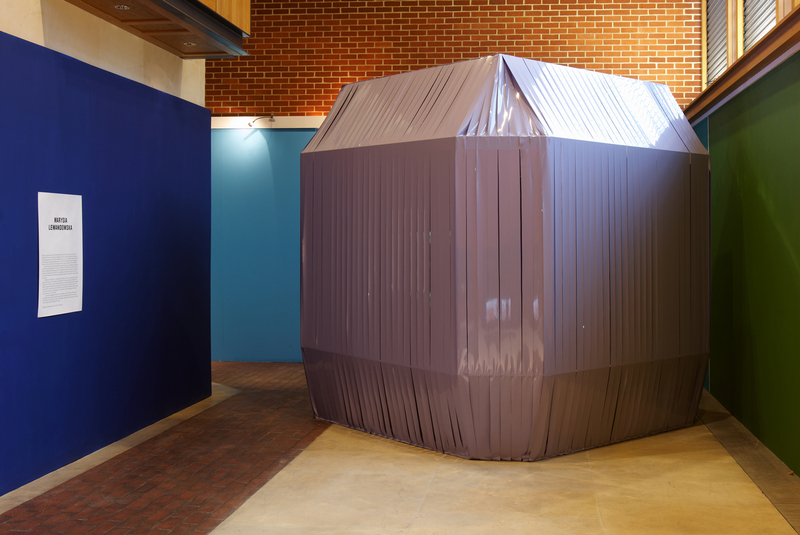 In a pod-like structure referencing the makeshift shelters of the campaigners and acting as a cinema and listening booth, Tim Knock’s short film And the Fence Came Tumbling Down (2001) is playing several times a day. 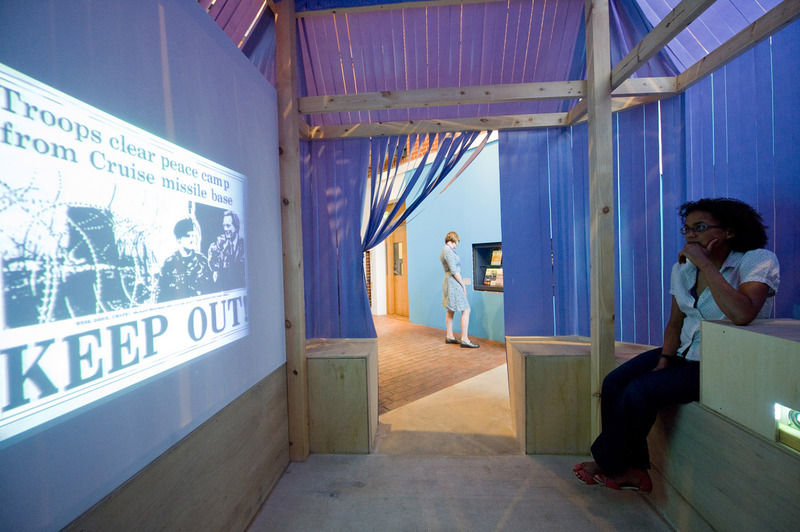 The film tells the story of the contentious occupation of Greenham Common by the US Air Force to establish a cruise missile nuclear base and how the land was finally returned to the people after twenty years of sustained nonviolent protest and camps. 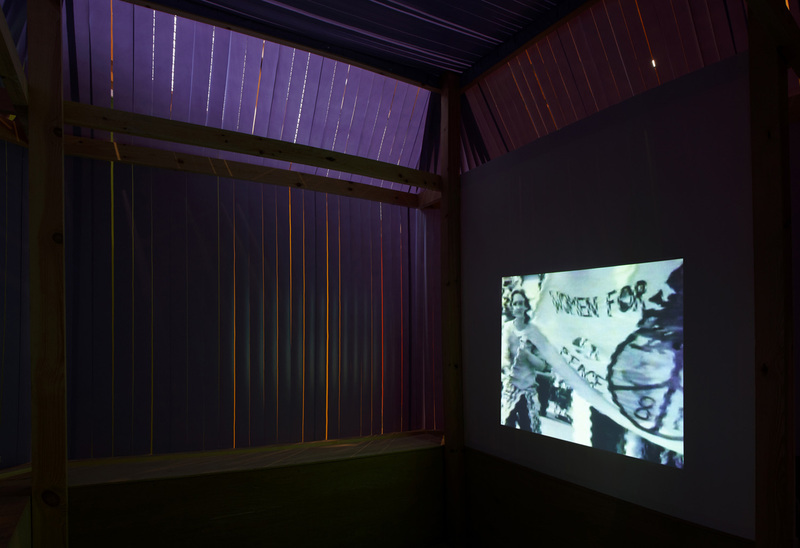 Alternating with the film is a soundtrack which refers to the court cases deposited in the Library’s archives by the Greenham Common Women. 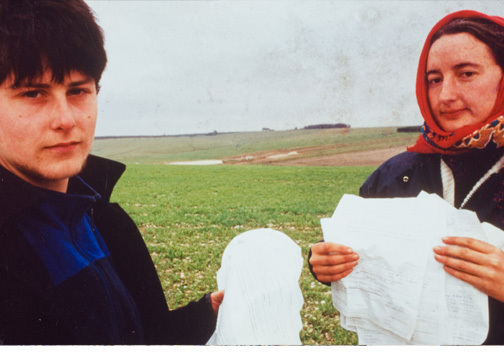 The cases reveal the struggle of the legal system in dealing with this creative challenge to the authorities and the unfair strategies employed against campaigners who merely exercised their right to reclaim peace and the common land. 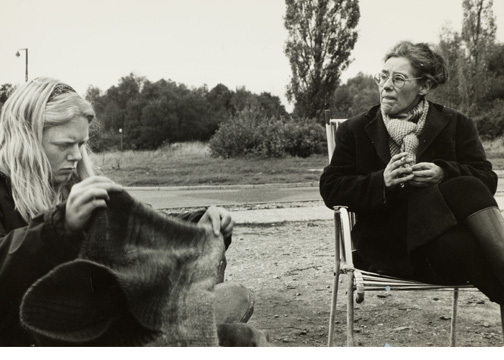 The documents serve as the basis for a discussion about human rights and the status of the commons, reverberating some of the current concerns regarding ownership not only of land but also of resources deposited in public archives. 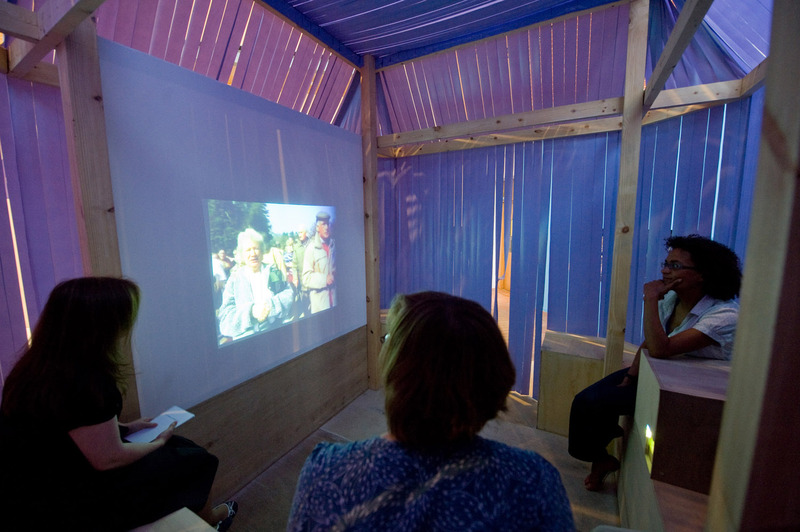 As a symbolic engagement with the site of Greenham and in an effort to dissolve the boundaries between public and private space, history and present, another key element of OPEN HEARING is the painting of a section of the gallery walls in the rainbow colours which the seven Greenham Common gates famously referred to.